Goals: Now that the Open is through, we’re programming a cycle with a traditional strength bias. We’ll focus in particular on 3 classic barbell lifts—the Squat, the Press, and the Deadlift—which we’ll test in group class after the 8 weeks with a Crossfit Total! Of course, you can also expect a regular mix of short, medium, and long metcons, in addition to skill work and Olympic lifting throughout. This mesocycle will return to our more traditional “work week” format microcycle, with consistent exposures to the strength movements on consistent days of the week (as outlined below). Saturdays will continue the tradition of partner workouts, and new for Sundays this cycle, Benchmark/Hero workouts will be programmed. Get stoked and yoked! The Death of the Rest Day means that you get to decide which days you’ll take off according to A) what works best for your goals and B) what works best for your schedule. Because there will be no scheduled rest days, volume and intensity will fluctuate throughout the week. While we love you and want to see you frequently, we still recommend having a day or two each week where you’re not training hard and heavy. Max reps up to 10 on the final set for the first 3 weeks. Varied exposures of Farmer, Waiter, Rack, Bear Hug Carries and Holds for both Fitness and Performance. Partner and team workouts are a fun way to get the most out of interval training in an “I go, you go” format. 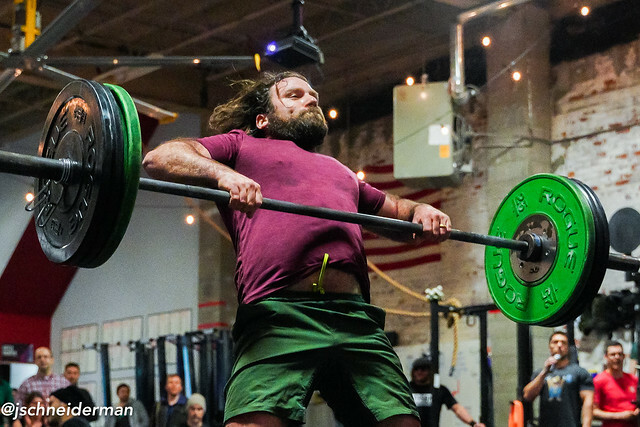 Crossfit Benchmarks, Hero workouts, and perennial CFSBK favorites.